See the best of London on this full day tour that includes all the highlights; St Paul’s Cathedral, The Tower of London and much more. The Majestic London Tour gives you a comprehensive and enjoyable overview of the capital. Buy tickets to Majestic London Tour here! The full day Majestic London Tour starts with meeting your guide at Victoria Coach Station and from there travelling by motor coach around London, starting with a panoramic drive around Parliament Square. You will see Westminster Abbey, the place where Prince William and Kate Middleton were married before continuing on to Princess Diana’s former home; Kensington Palace. You will also pass the Royal Albert Hall and the Albert Memorial, and you will get a chance to see the changing of the guard at Buckingham Palace. 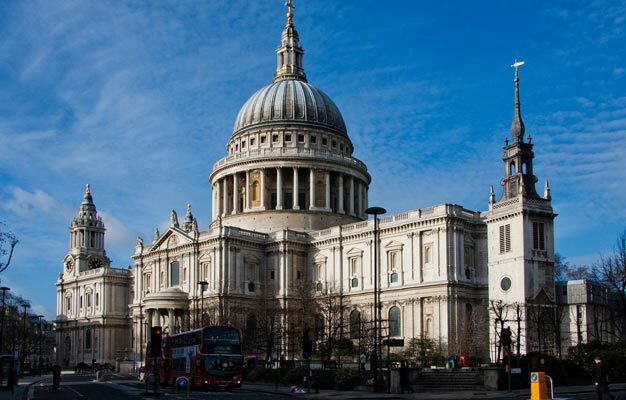 Other top highlights on this tour include a guided tour of St Paul’s Cathedral, and a guided tour of The Tower of London where you will see the magnificent Crown Jewels, and get time to explore on your own. - The tour is in English. - Duration: almost 9 hours. - Your ticket is only valid on the booked date. - Operates daily at 8:45am. - Departs from the Victoria Coach Station. - Children aged 3-16 years qualify for child tickets. - St Paul’s Cathedral is closed on Sundays. If you book on a Sunday, you will stop for photos and spend longer at the Tower of London. - On occasions when there is no Changing of the Guard, the tour will visit the Horse Guards Parade instead. - Majestic London Tour ends at Westminster Pier.